Novella are London-based trio Sophy Hollington, Hollie Warren and Suki Sou. They met in Brighton and formed the band in February 2010 after they all moved up to the capital. After spending months in each other’s bedrooms writing and listening to bands like Polvo, Guided by Voices, Broadcast, Calico Wall and My Bloody Valentine, they decided to put a band together themselves and began playing shows in Autumn last year. 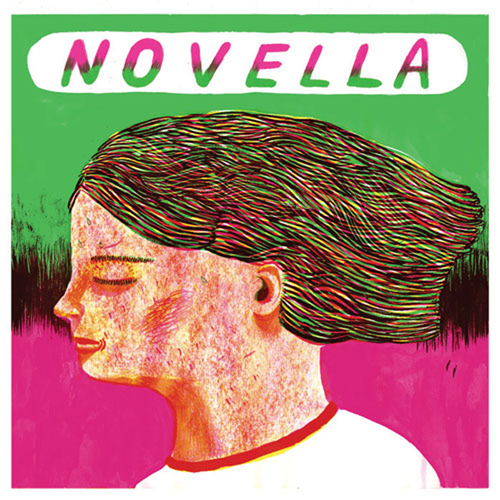 With their music described by i-D as “serious business”, Novella combine a guitar sound of Pixies-inspired crispness with a wallowing dirge of noise, set off by melodic, interwoven bass lines. Live, they add a drummer to the line-up to play as a four-piece whilst Sophy, Hollie and Suki swap between instruments during sets.